Just as the real "Maus" this kit is quite impressive. 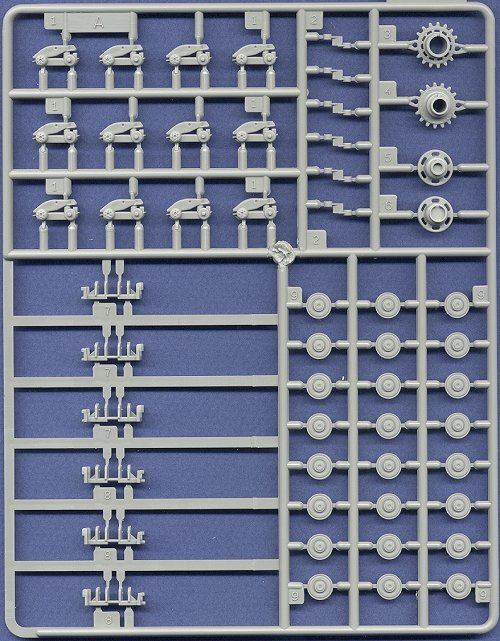 It comes with about 150 parts in grey plastic, the tracks in black vinyl, a small decal sheet and two metal axles to keep the sprockets turnable, which was done to simplify the mounting of the tracks. 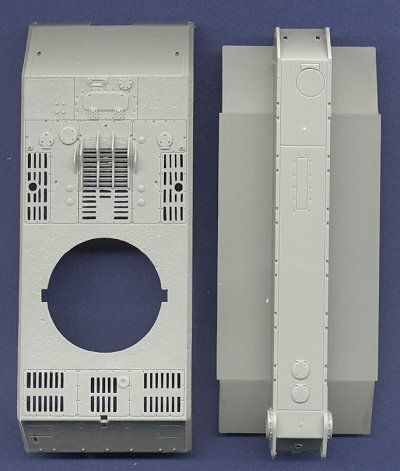 The plastic parts are all of a good quality, with only a little flash especially between the openings in the upper hull, which also show soft detail. 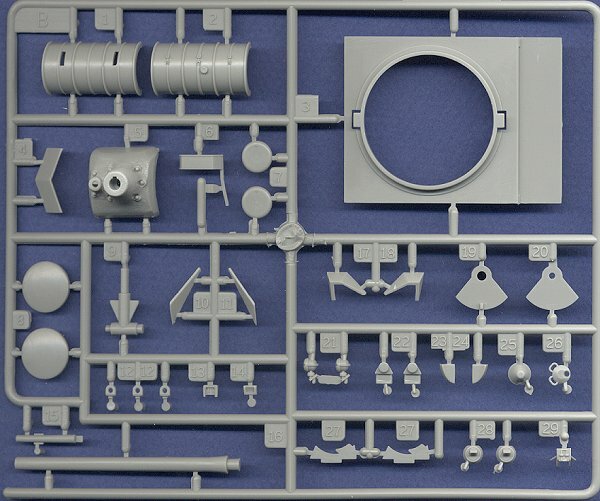 Most parts of the kit are used for the complicated undercarriage, the suspension construction and the wheels, causing very impressive "make twenty-four" orders in the instruction sheet which is -by the way- easy to understand and very similar to Hasegawa's instruction sheets. 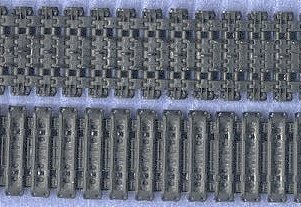 Another nice surprise were the tracks which are made of soft vinyl (which I personally normaly dislike), but they are done very accurate and show good detailing ­ too bad 80% of the tracks are covered by the tank's side armor plate. 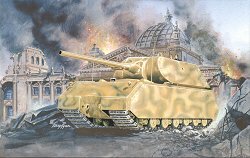 The biggest point of criticism is the very coarse texture Pegasus applied to the surfaces of the hull, the turret and the gun mantlet, trying to imitate the texture of cast metal as it was typical for late-war (and low-quality) german steel. This was well-meant but the result is far too rough to be realistic, but can be corrected very easily by sanding off the surface with fine sand paper. 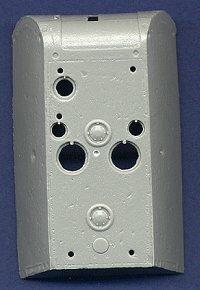 The decals are good and very thin, although there are only four "Balkenkreuze", but this is completely adequate, since the real Maus stayed a prototype and was never in use. Altogether this is a good kit which shouldn't make too much trouble. It's fast and easy to build and therefore also suitable for beginners.